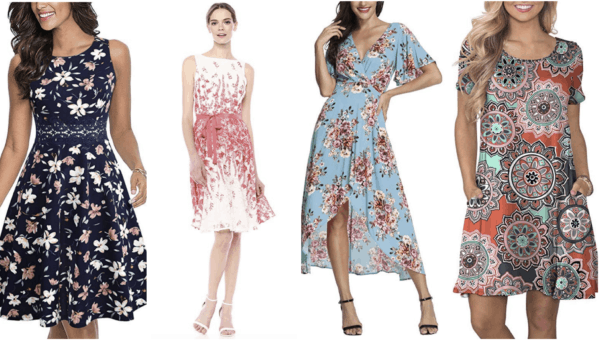 April 15, 2019 by Laurie 4 Comments This post may contain affiliate links, which means if you click on a link and purchase something, I may earn a small commission (at no additional cost to you.) See my disclosure policy HERE. Love the idea of having trendy outfits put together for you each month – but need something a little more affordable than Stitch Fix? This weekly segment offers a frugal Stitch Fix alternative that might be perfect for you! 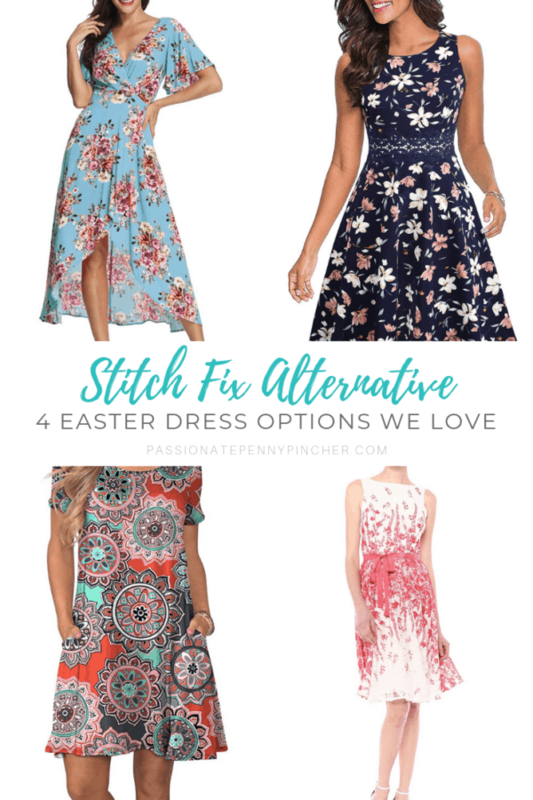 We thought it would be a fun challenge to see if we could pull together a 4 Easter dress options from Amazon for around $150 this week and not only were we successful, but good gravy we have all the  for these! HOMEYEE Women's Sleeveless Cocktail A-Line Embroidery Party Dress – this dress gets AMAZING reviews and can be worn from anywhere to a cocktail party, a wedding or church! Several cute patterns and solids to choose from! 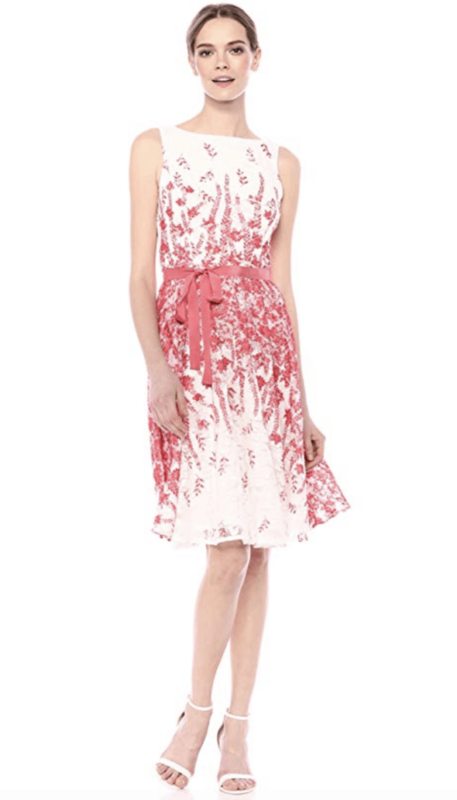 Azalosie Wrap Maxi Dress – so flowy and trendy with the high/low hemline. 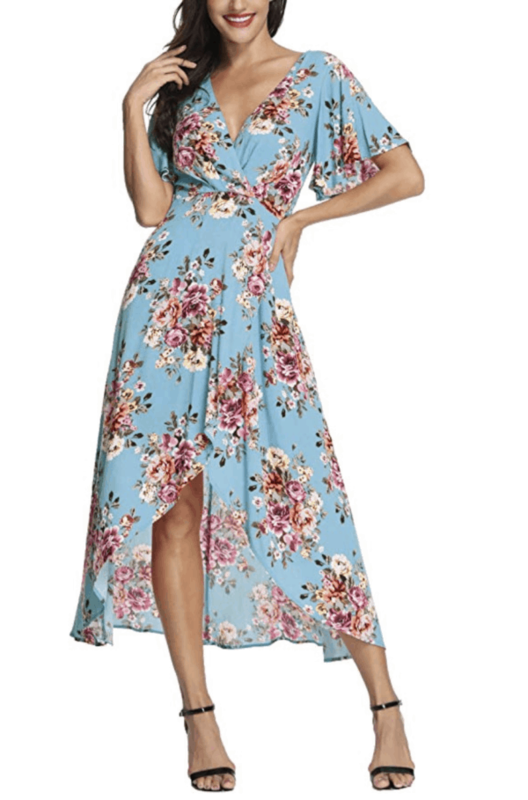 Gabby Skye Floral Printed Fit and Flare Belted Dress – I love a good fit and flare and this one is just darling! It's a bit more expensive but the quality is amazing and the cut and style is classic and timeless! 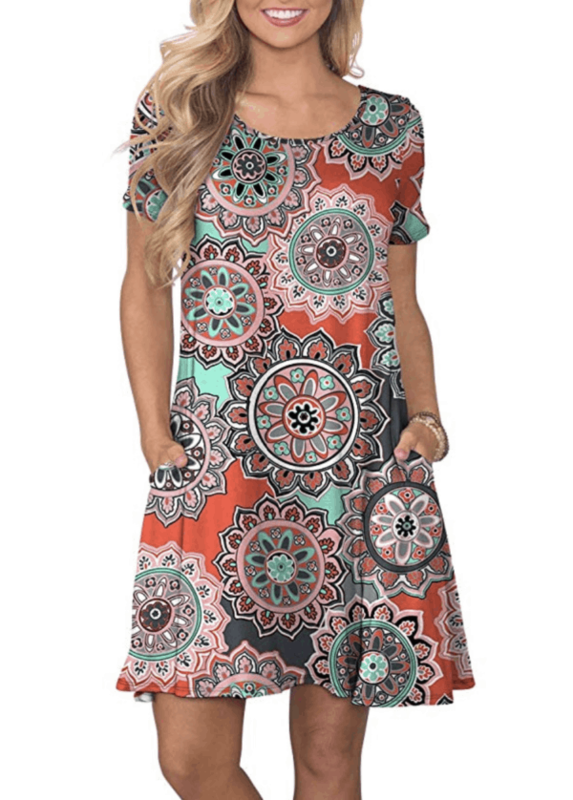 KORSIS Summer Casual T-Shirt Short Sleeve Swing Dress – Super cute and can be dressed up or down! Has pockets and would look adorable paired with a distressed jean jacket! We love us some Stitch Fix over here at PPP, but sometimes our budget just doesn't allow for it. TOTAL for all 4 dresses including shipping is $156.65 (before tax)! Of course for Easter you don't need all 4 dresses, haha! But we thought it would be fun to share several affordable options! Nadine West has a $10 styling fee. I got nice things from them. I like the chiffon blouse a lot but I wish there were some buttons. Little too much chest for me to wear to church or anywhere.